Answer （A） is incorrect. The ratio of income before tax to total assets is 42.1%. Answer （B） is correct. 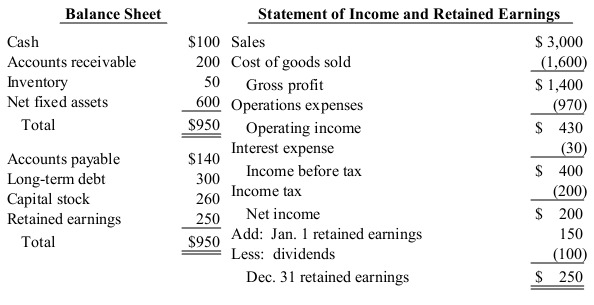 The return on assets is the ratio of net income to total assets. For Dividendosaurus, it equals 21.1% （$200 net income ÷ $950 total assets）. Answer （C） is incorrect. The ratio of income before interest and tax to total assets is 45.3%. Answer （D） is incorrect. The ratio of net income to common equity is 39.2%.